Eric M. Bosarge‘s (Popular Fiction, W’12) short story “The Last Laugh” will appear in the November issue of Strangelet Journal. 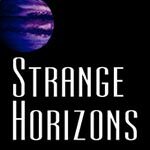 Karen Bovenmyer (Popular Fiction, S’13) is excited to share her very first professional narration—“The Wives of Azhar” by Roshani Chokshi—which she recorded for Strange Horizons Magazine. Also, the first issue of Mothership Zeta Magazine, featuring Stonecoast alums Bonnie Stufflebeam (fiction) and Adam Gallardo (nonfiction) and faculty James Patrick Kelly is now available for download! Karen is the Assistant Editor, Nonfiction for this magazine, which is led by Stonecoast alumna Mur Lafferty, Editor in Chief. 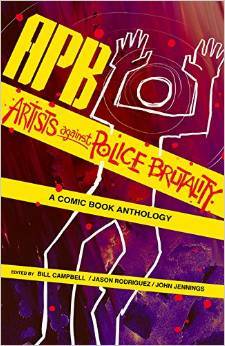 Jennifer Marie Brissett (Popular Fiction, S’11) has a flash fiction story “Innocent Bysanders” in APB: Artists Against Police Brutality, an anthology published by Rosarium Publishing that confronts the many persistent problems plaguing the American criminal justice system. All proceeds generated from this project will be donated to The Innocence Project. Julie C. Day‘s (Popular Fiction, S’12) story “The Thirteen Tuesdays of Saint Anthony” is now available online in Farrago’s Wainscot Issue 16. It feels like the perfect match. Julie truly hopes the two will be blissfully happy, though considering the story’s subject matter, perhaps not. In more happy news, her story “The Faces Between Us” was republished in audio form as part of Podcastle 386. Finally, Julie’s story “Faerie Medicine” was reprinted in the print and e-anthology Gaia: Shadow and Breath Vol. 2. Terri Glass’s (Poetry/Creative Nonfiction, S’13) essay, “Rochambeau and the Mystery of Racetrack Playa” will be coming out in Young Ravens Literary Review November 23. Her poem “Just Another Day” will be published in an anthology, Earth Blessings, Spring 2016. And her poem “The Pond People” is forthcoming in The San Diego Poetry Annual, Spring 2016. Terri’s new website is up and running with everything finally under one roof. Peruse the poetry, prose and send her a note. 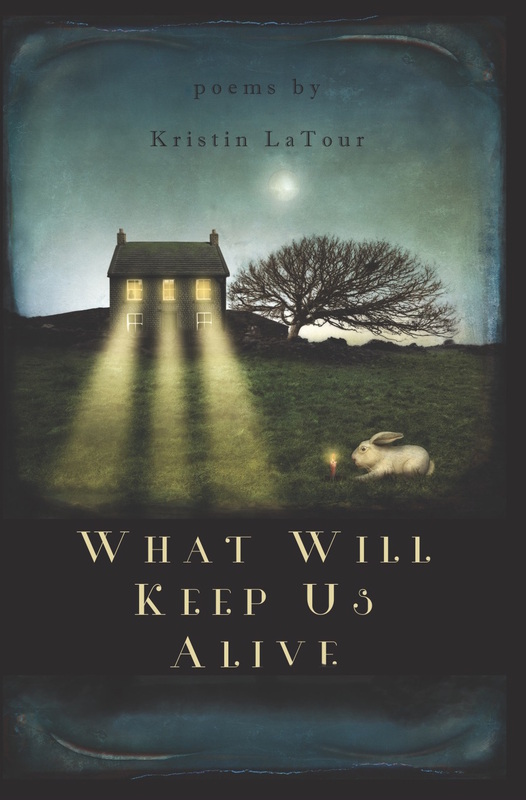 Kristin LaTour‘s (Poetry, S’07) first full-length collection, What Will Keep Us Alive, is available for pre-order from Sundress Publications. Luis Alberto Urrea, author of The Hummingbird’s Daughter, says, “Kristin LaTour’s American song flies from the heartland full of sun, shadow, full winds and explosions of lightning all along its highways. Wonderful and alive.” And Lesléa Newman, author of I Carry My Mother and October Mourning: A Song for Matthew Shepard, wrote, “The poems in What Will Keep Us Alive are told in a strong, authoritative voice that made me sit up and listen. ‘Break me like a stained cup.’ ‘Let the sparkle fall from your fingers.’ ‘Light a match and wander west.’ I will do as these poems command willingly and eagerly, for Kristin LaTour is a poet who has something to say and isn’t afraid to say it. Fierce, funny, fearless, and finely crafted, these are fabulous poems I will read, ponder, and share with friends, colleagues, and students again and again and again.” Free shipping with pre-orders. 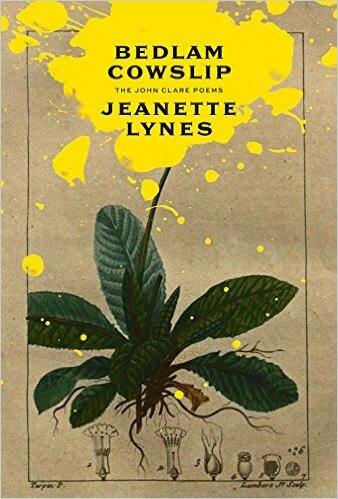 Jeanette Lynes (Poetry/Fiction, ’05) released her seventh book of poetry—Bedlam Cowslip: The John Clare Poems (Wolsak & Wynn’s Buckrider Books imprint)—this month. The book was launched with readings in Toronto, Manchester, and London. On October 22-24, 2015, New Rivers Press will host a release party at three different venues over three days. The events will feature book signing, author readings and interaction, a silent auction, and the selling of their four most recent publications. These include the annual American Fiction: Volume 14 collection, which was edited by Bruce Pratt (Fiction, S’04) and won the 2014 Gold Medal for short fiction from The Midwest Independent Publishers Association; Wrestling with Angels by Daniel Gabriel; Home Studies by Julie Gard; and Flashcards and the Curse of Ambrosia by Tracy Robert. On Thursday, October 22nd, there will be a reading at 8 pm in Minnesota State University’s Comstock Memorial Union, Room 101. On Friday, there will be another reading at the Spirit Room along with hors d’oeuvres and a silent auction. Lastly, on Saturday there will be a 12:00 p.m. reading at the Red River Market. Cynthia Furlong Reynolds (Fiction, ’12) has been working with the actor Jeff Daniels on the story of his life and the history of the theater he established in Chelsea, MI. The Purple Rose of Chelsea will be released this month. Lisa Romeo (Creative Nonfiction, S’08), was pleased when her essay which appeared on Brain, Child a few weeks ago, “I Survived Postpartum Depression, But it Never Left Me,” caught the attention of maternal and mental health organizations, sparking conversation about the lingering effects of PPD. Another piece, “The Horsey Set,” appears in a new anthology, Unfinished Chapters. In October, Lisa presented two seminars (one on publishing personal essays, another on working with incomplete memories in memoir) at the NJ Women Who Write conference in Madison, NJ; and she read from her memoir manuscript and appeared on the panel “Death: Italian American Style” at the national Italian American Studies Association conference in Washington D.C. An interview with Lisa appears at Your Blog Connection, about how she uses her blog to help other writers. Kevin St. Jarre (Popular Fiction, S’10) and Nylah Lyman (Poetry, S’10) have been invited to spend a week at La Muse Artists and Writers Retreat in southern France. The retreat is held in a manor house, some parts of which date back to the 12th century, and is about 25 minutes into the mountains near Carcassonne. The website for La Muse is here. 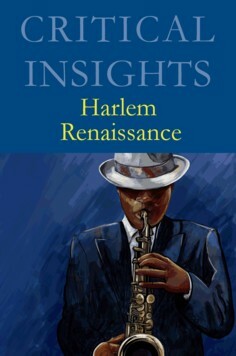 La Muse from the river in the valley..
Christopher Allen Varlack (Creative Nonfiction, S’10) published an edited collection of critical essays on literature of the Harlem Renaissance with Salem Press in October. The book is available from Salem Press and Amazon for purchase. Anne Witty (Poetry, W’12) has been named the winner of The New Guard Knightville Poetry Contest for her piece “Contact Sheets,” which will be published in The New Guard Vol. V in 2016. 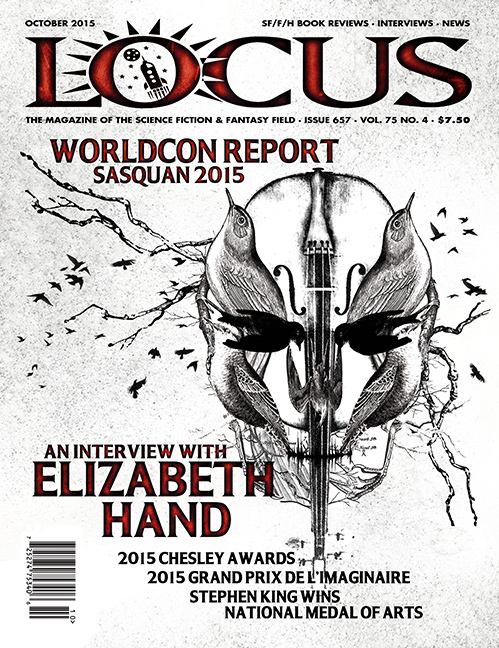 Elizabeth Hand (Fiction, Popular Fiction) was on the cover of Locus Magazine‘s October issue, featuring an interview about her recent novel Wylding Hall and forthcoming Hard Light. Her recent reviews include Patti Smith’s M Train and William Sloane’s The Rim of Morning for the Washington Post, and Stacy Schiff’s The Witches: Salem 1692 for the Los Angeles Times. Eléna Rivera (Poetry, Translation) has two poems in the current issue of The Denver Quarterly 50.1 (2015). Damien Shuck (Poetry, ’09) currently serves as a Peace Corps Volunteer in China, working at Southwest University, on of the top-tier universities in China. He has several opportunities for Stonecoast students and Alumni. He is currently working on assembling a series of extensive reading textbooks to be published through his University Press. He is looking for all genres—Fiction, Popular Fiction, Poetry, Creative Nonfiction, or Essays—and will accept previously published or unpublished work. Please submit any number of texts to swutextbooksubmission@outlook.com. Submission deadline: December 31st. An opportunity for any Stonecoast alumni interested in taking a year to teach in China at Southwest University. Teaching here has been a wonderful opportunity. You will have time to work on studying Chinese, to explore another culture and gain experience, and lots of time to work on writing. Southwest University is a great place to work and I am trying to establish close ties with Stonecoast. If you are interested in either of these opportunities please contact Damien at damienshuck8@msn.com.